We take a pragmatic, common-sense approach to health and safety without loss of effect or compliance with legislation. H & K Safety Services Limited was established in October 2007 and we have just celebrated our 10th birthday. In terms of client numbers and consultants we have grown year on year; primarily through our friendly, dedicated team and knowledgeable pragmatic approach to respond to ever-changing health and safety requirements. Various other policy statements such as quality, diversity, anti-bribery etc. April/May and October for 2 weeks at a time concentrating on refurbishment works and health issues. The refurbishment works will look at all the usual issues: Asbestos, Slips& trips, housekeeping , manual handling etc. Health issues is an area where the HSE are putting greater emphasis on: Dust, material handling, manual handling generally, noise, vibration, use of chemicals, fumes and asbestos. Please advise all your Supervisors and site managers of these initiatives there is a wealth of literature on the HSE website, we would recommend that a programme of toolbox talks are undertaken to refresh everyone on the controls expected. As an early notification our seminar in November will be concentrating on health. We offer a wide range of services to cater to your needs including consultancy, site inspections and more. 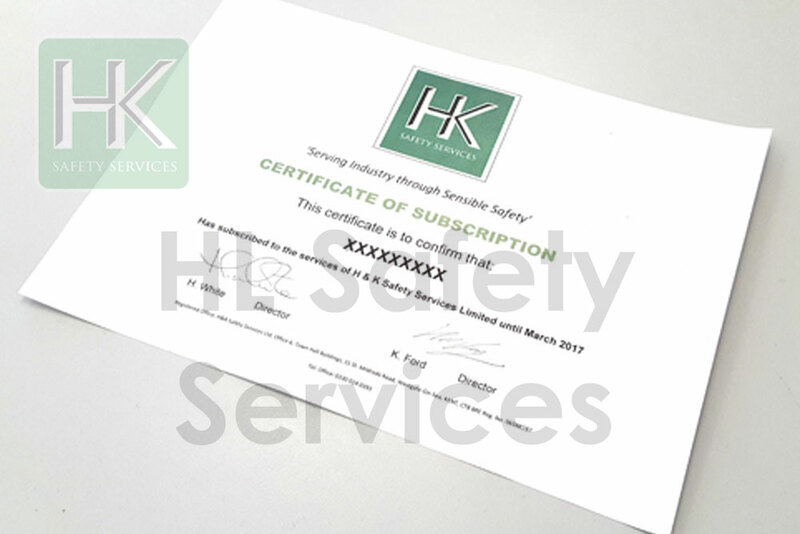 H & K Safety Services Limited was established almost ten years ago and we have grown year on year. Take a look at some of the things that we have seen that provide examples of how things should NOT be done. Our membership provides you with competent advice, a legal requirement in compliance with the regulations. Each year we run our annual seminar in which we present awards to some worthy recipients. I want to reiterate how beneficial your guidance has been for us. Explanations, training and demonstrations in so many areas of how we are expected to comply to standards has made me think more about all aspects of QESH. That's given me the opportunity to share this and get everyone working positively in the right way too, which has undoubtedly helped improve our business.